Spotify Connect: What is it? How can you get it? | What Hi-Fi? With over 140 million active users worldwide (including 71 million paying subscribers), Spotify is the world's largest and most popular music streaming service. But you don't have to restrict yourself to listening to music through your smartphone's app. Using Spotify Connect, you can fire your tunes over wi-fi to any audio product you have in your home, as long as you have the compatible kit. This feature is a godsend for house parties - as long as you trust your friends with the controls. But it's really for anyone who wants to easily access all of Spotify's 30 million songs and curated playlists on dedicated hi-fi and AV kit and smart speakers - all without the hassle of any Bluetooth pairing. So how does it work? How do you set it up? And what are the perks of Spotify Connect? It's a way of playing Spotify through your wireless speaker, soundbar, AV receiver, voice-control smart speaker - or any other compatible device - over wi-fi. That means you can play your favourite tunes anywhere in the house, all without the need for any convoluted Bluetooth pairing between devices every time you want to listen to music. Best of all, Spotify Connect doesn't use your smartphone (or tablet or desktop) app to stream music. It plays music directly from its servers to the device - leaving your smartphone free for making calls and all other uses. You only have to use your smartphone to control music playback. And to ensure the best quality, Spotify Connect always streams in 320kbps - that's the highest bitrate currently offered by Spotify. How does it work? What products support it? Just like Apple AirPlay, Spotify Connect works over wi-fi. It seeks out compatible devices that use the same wi-fi network and hooks up to them wirelessly to stream music. To use Spotify Connect, you'll first need a smartphone, tablet, laptop or desktop computer with the Spotify app downloaded on to it. To use Spotify Connect with some devices you'll also need a Spotify Premium subscription - although others (the PlayStation 4, for example) are happy to work woth Spotify Free. And then you just need the right product. Chances are you might already have a speaker or amp that supports Spotify Connect: there are over 300 products (and counting) from over 80 brands that play nicely with Spotify Connect. They can be as varied as the Amazon Echo Plus smart speaker, Sony STR-DN1080 home cinema amp, Naim Mu-so wireless speaker and Cambridge CXN network streamer. You can find the full list of compatible kit here, although Spotify did recently announce it was going to kill integration for some older hi-fi and AV kit. Spotify Connect works on one device at a time, unless you're using a multi-room system such as Sonos, where you can select a group (two rooms or more, set up via Sonos's app) to stream music to. There is one caveat, however. 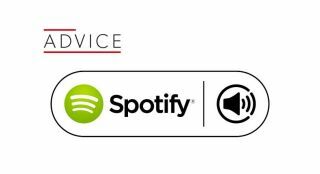 In order to play through a Spotify Connect-compatible amplifier or speaker, you will need a Spotify Premium account, costing £9.99 per month. Perks include no ads, being able to pick songs (instead of just shuffling) on the mobile app, and using Spotify Connect on any relevant device. It's simple. Download the latest version of the Spotify app to your smartphone, tablet or computer, and make sure both it and your chosen product(s) are connected to the same wi-fi network. On your smartphone, launch Spotify, log in, and select a song to start playing. Click the 'Now Playing' bar, then the 'Devices Available' text at the bottom of the screen. This will show which of your connected products can play from Spotify. Select a device (the text will go from white to green), and music will start playing on that device. Magic! If you're using Spotify Connect to listen to a song on another smartphone or tablet, make sure both devices are logged in to the same Spotify account and simply follow the steps above. On the desktop app, click the 'Connect to a device' button in the bottom-right corner. This brings up the devices menu. Select the one you'd like to use, and it'll do the rest. Spotify claims using Connect lets you switch between multiple products "without skipping a beat" - in reality, there's always a tiny bit of delay when you swap products, but it's much quicker than having to pair to Bluetooth every time. Once you're all set, your smartphone or computer becomes the remote control: select a song or playlist, pause, skip or shuffle through Spotify's vast catalogue. Another big advantage of using Spotify Connect (especially on a product that supports it natively), is when you fire up the app or switch between products, it will always adjust the volume automatically for the chosen audio product. Pretty neat. How do you use your smartphone while using Spotify Connect? You can use it normally without worrying that whatever you're doing - sending a text, playing a game, watching a YouTube clip - will interrupt the music. All songs are streamed directly from Spotify's cloud servers to your Spotify Connect product - your phone acts purely as a controller. First of all, this means playing Spotify won't sap your smartphone's battery - a fine reason to invest in a Premium account. Since you're only using your smartphone or tablet to control playback, it goes a long way in prolonging the battery life. Secondly, it means you can wish your mum happy birthday or make that pizza delivery call without having to pause and interrupt your carefully curated playlist. You can also switch between devices seamlessly. Were you listening to Spotify through your headphones on your way home? Once you've walked through the door, simply select your Spotify Connect-compatible stereo system in the app and the song will carry on playing through your speakers without having to pause or restart it. If it's non-stop music you want, you've got it. If you have a smart speaker - such as the Amazon Echo 2, Sonos One or Google Home - you can use voice commands to play music from Spotify. Add your Spotify account to the list of music streaming services (this can be done in the Alexa or Google Home apps). Make sure you select Spotify as your default music player (so you don't have to specify which service to use at every turn) and then simply say "Alexa, play the new Breeders album" or "OK Google, play the John Wick soundtrack" and your smart speaker will comply. We can't see the Apple HomePod supporting Spotify Connect anytime soon, but you might not need to rely on other products to get Spotify music. There are reports that Spotify is testing its own voice assistant, mainly for searching for artists and songs. Add this to the rumour Spotify is looking into making its own smart speaker, and we could have a Spotify ecosystem that doesn't rely on third-party brands. We hope that if and when it does happen, Spotify finally unveils that lossless Hi-Fi tier - we've had our fingers crossed for nearly a year now. MORE: Amazon Echo Dot vs Google Home Mini - which is better?